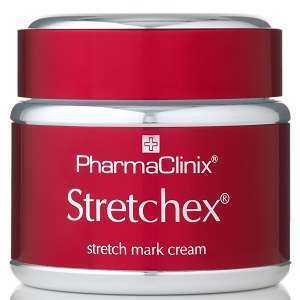 This product review gives factual and detailed information about PharmaClinix Stretchex. This product claims to have a strong combination of ingredients that reduce stretch marks on damaged or stretched skin. Stretchex also smoothens the skin, increases skin elasticity, and maintains firm skin. You will learn more about this stretch mark remover as you read further. Caesalpinia Spinosa- helps in reducing the stretching force. Kigelia extract- reduces the stretching force. Quillaja extract- reduces stretch marks by acting as a stretching force reducer. Phaseolus Lunatus- has anti-inflammatory properties. Green tea- has anti-inflammatory abilities. Genisen- acts as a cellulite reducer. Stretchex is an appropriate product to use during excessive weight loss, excessive weight gain, and pregnancy. Use gentle radial and upward movements to massage two times daily. Focus on areas that are prone to stretch marks such as thighs and the stomach. The price of one pack (200 ml) is $40. We compared this price with the price of similar products and found out that Stretchex is a somewhat expensive. Although this product is pricey, we presume that a high price symbolizes high quality. You can also get this product through a gift voucher or a discount coupon code. Although the manufacturer offers a 100 percent money-back guarantee, this offer was unclear. Based on the information gathered during this review, it is not clear whether this guarantee applies to Stretchex or not. Moreover, refund requests must be done in writing and the guarantee lasts for only seven days after purchasing the product. Without a money-back guarantee, the manufacturer might have difficulties in convincing potential consumers that this product is effective in alleviating stretch marks. Although there are some positive reviews about the manufacturer’s products on the testimonials’ page, we did not find testimonials for Stretchex. The absence of these testimonials may raise quality issues among consumers who need some evidence of positive results. In conclusion, Stretchex could be an ideal stretch mark remover because it contains a powerful blend of anti-inflammatory ingredients, vitamins, proteins, minerals, and plant extracts. These ingredients are believed to have a positive effect on stretch marks. Stretchex has some positive characteristics. For instance, the manufacturer offers simple and clear dosage instructions. Furthermore, buyers can use discount coupon codes and gift vouchers to get the product at a low price. However, this product has some negative features that might cause potential buyers to be unenthusiastic. For instance, there is no information about the possible side effects. In addition, it is unclear whether users can benefit from the guarantee offered by the manufacturer. On top of all that, Stretchex is a costly product. David Carney	reviewed PharmaClinix Stretchex	on August 15th	 and gave it a rating of 2.5.